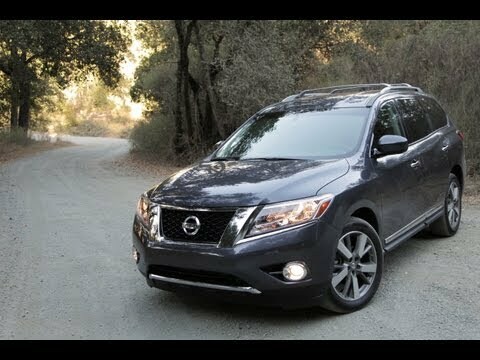 For 2013, the all-new Nissan Pathfinder transforms from a rugged, truck-based layout to a car-derived modern crossover with a unitized body, competing directly against such mainstream 7-passenger big-sellers as the Toyota Highlander, Honda Pilot, Ford Explorer and Chevrolet Traverse. It is truly problem free! From the very first day that I drove it home from the dealership, I have never had to take it back for any problems. So far, I have only had to get the oil changed, tires rotated, and some cabin filter. That's a pretty good record for a car that is now almost six years old! This is the first new car that I ever owned that I never had to take back to the dealer during the initial warranty period for any work. Not even any minor problem. That says a lot about quality control to me. I also like that the scheduled maintenance is done by miles only and not by time or miles. Since I don't put that many miles on my car, I am not spending a fortune for scheduled maintenance like I had to do on the Jeep I owned before this car. The only thing I really don't like about this car is that the light only comes on in the glove compartment when the headlights are turned on. I wish it had a switch on it like my previous cars and come on every time it is opened and not just come on (and stay on) as long as the headlights are on. This was a poor design, in my opinion. Nissan pathfinder with broken door. My vehicle has worked relatively well. I have recently had a few issues back to back which has cost me quite a bit of money. It runs well, but the mirrors on the driver and passenger seats break and start to fall down which can cause people to hit their heads. Recently my drivers side door handle has broken on the inside and I am unable to open it from the inside. This is a pain and quite inconvenient. The car runs well though, and is very big and spacious. Good gas mileage and drives pretty smooth for the most part. Overall not a bad car, just a few maintenance issues that should not be happening. This pathfinder keeps us safe and keeps us feeling safe. My pathfinder has been a great vehicle, plenty of room for kids and traveling. We use it in town and on our outdoor adventures. I am so glad we have the backup camera, I depend on that a lot! Our pathfinder makes us feel very safe on the road, we use this vehicle every day and it has been totally reliable. The gas mileage is pretty good for it being a SUV. Our pathfinder also has the third row seating which helps if we have more people with us or have a lot of stuff with us. The controls on the steering wheel is a big help along with the Bluetooth capabilities. Would definitely recommend to anyone! Nissan North America (Nissan) is recalling certain model year 2013 Pathfinder vehicles manufactured April 18, 2012, through October 3, 2012, and equipped with a continuously variable transmission (CVT). In the affected vehicles, the internal oil cooler (ITOC) hose may detach from the cooler due to inadequate clamping force, allowing transmission fluid to leak. The loss of transmission fluid could cause the transmission to function improperly and the vehicle to stop accelerating, increasing the risk of a crash. Nissan will notify owners, and dealers will install an oil hose repair kit, free of charge. The recall will begin in May 2014. Owners may contact Nissan at 1-800-647-7261. Nissan will notify owners, and dealers will inspect the manufacturing date of the torque members and replace them, as necessary, free of charge. The recall began on May 20, 2013. Owners may contact Nissan Customer Service at 1-800-647-7261. Nissan will notify owners, and dealers will reprogram the ABS, free of charge. The manufacturer has not yet provided a notification schedule. Owners may contact Nissan at 1-800-647-7261.